Today we only had one case booked at Mulago hospital. We all woke up in the morning a little bit unsettled because we had all heard conflicting stories as to what the state of Mulago was in regard to the Ebola situation. Although most of the stories involved New Mulago, which is a part of the greater Mulago hospital, but located a short distance away, we were still not completely clear what was true and what was hearsay As it stood, only half of the team was meant to go to Mulago to work on the case. There definitely seemed to be some tension within the team because it seemed like people were unhappy about this situation, but no one was speaking up. Thankfully, before we headed out, there was a team meeting called where we were told what was shared with Dr. Lieberman from the acting director of Mulago Hospital, and from his perspective it was safe for us to go in and perform the operation. Off we went in the van, the group of us scheduled to do the case at Mulago. This case was an idiopathic scoliosis instrumentation, reduction and fusion on a 21-year-old female. Despite being slightly nervous about the Ebola situation, we all pulled together as a team and supported each other, mostly with lighthearted humor about the situation, and got through the case very successfully. Today there were two cases planned, one at each of the hospitals. At Case Hospital, we had planned to perform a difficult procedure on a 3-year-old female with a mass in the cervical region of her spinal cord. Knowing the delicate nature of this procedure, Dr. Holman had organized late last week to have some of his more specialized neurosurgery equipment shipped from the United States to help perform this procedure. Unfortunately, although it appeared that the shipment had arrived in Uganda, it was being held up by customs, and thus we were unable to obtain it. Consequently, this case had to be cancelled. This was such a frustrating outcome, after having planned to perform this procedure, and hopefully make a real difference for this little’s girl life, but instead the Ugandan government prevented this from happening. While the Case half of the team were dealing with their setbacks, the other half of the team was working on a case at Mulago on a 50-year-old female with a suspected infection in her spine. This group at Mulago also faced their own set of obstacles in trying to undertake this case. 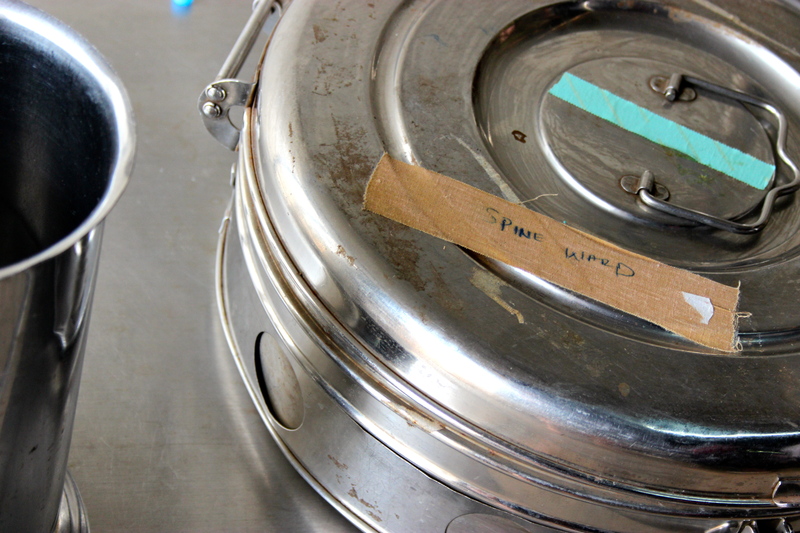 When we arrived in the morning we found that the instruments we needed for the procedure had not yet been sterilized, and furthermore, the truck that was supposed to come and pick it all up to take it to where it can be sterilized, was out of gas. As we waited around for the necessary equipment, we rounded on patients, caught up on writing operative reports, grabbed a quick power nap, and Dr. Ughwanogho cracked the whip to ensure our patients were getting their post-operative x-rays after being told that they couldn’t get them because they had to pay for them themselves. Dr. Ughwanogho’s persistence paid off and sure enough, before we knew it we had all of the post-operative x-rays. Finally, at around 1 pm, we had our instruments sterilized and returned, the patient was ready, and we began the case under the very competent leadership of Dr. Ughwanogho, with assistance from two Ugandan orthopedic residents. There was some uncertainty going into this case because this particular patient had been investigated for an infected process in her spine, but we did not know exactly what we would find. What we did find was a very inflamed spine, with cavitating lesions. Due to the precarious state of this patient’s bones, likely due to underlying osteoporosis, this case took longer than we had anticipated; plus, we had had a considerable late start. Bottom line, it was a late night at Mulago, and when we finally had finished it was around 8 pm. The rest of the team had gone to an evening reception, hosted by the Mulago administration, but as we had had a long and frustrating day, exhausted and starving, we headed home and went out to grab a late dinner. We eventually met up with the rest of the team at the apartments and discussed the trials and tribulations of the day, but encouraged by the positive outcome for the patient. Moreover, I think this was an important day for Dr. Ughwanogho, as he was able to reaffirm to himself just how talented and competent he is as a young orthopedic surgeon, even in the most adverse conditions. 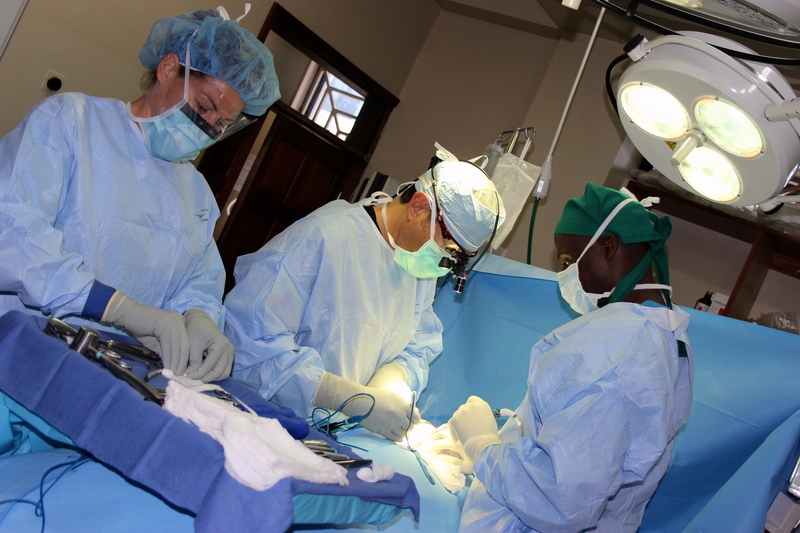 Today, our last day in Uganda, was spent operating on a 5-year-old male with congenital scoliosis at Case Hospital. While half of the team was at Case operating, the other half of the team went to Mulago to wrap up any loose ends, check in on post-operative patients, and clean up our equipment. Once we had finished up at Mulago, we bid a bittersweet farewell to this place that had quickly become a home away from home for several of us. Although we had only been there for two weeks it became very apparent to us that we had established very strong and special relationships with the health care staff we had been working alongside; not to mention the relationships we had formed with the patients we had operated on and were now on their way to recovery. To me there was definitely a sentiment of this trip not being long enough. It seemed like just when we were starting to get into the swing of things, and starting to really mesh with the Mulago staff, it was time to go. Afterall, there is always more we could do. Once we had finished up at Mulago, those of us who were not part of the operating team at Case went home to work on outstanding reports, sorting of the thousands of pictures that will be necessary to supplement the trip report, and catching up on other odds and ends. However, our ability to do work was interrupted by a building-wide power outage. Thankfully a generator was brought in, but only lasted as long as a full tank of gas, and then we were once again powerless. This made for more of relaxing afternoon that we had anticipated, but we were not too upset about that! The operating team finished up the case successfully and without any complications. 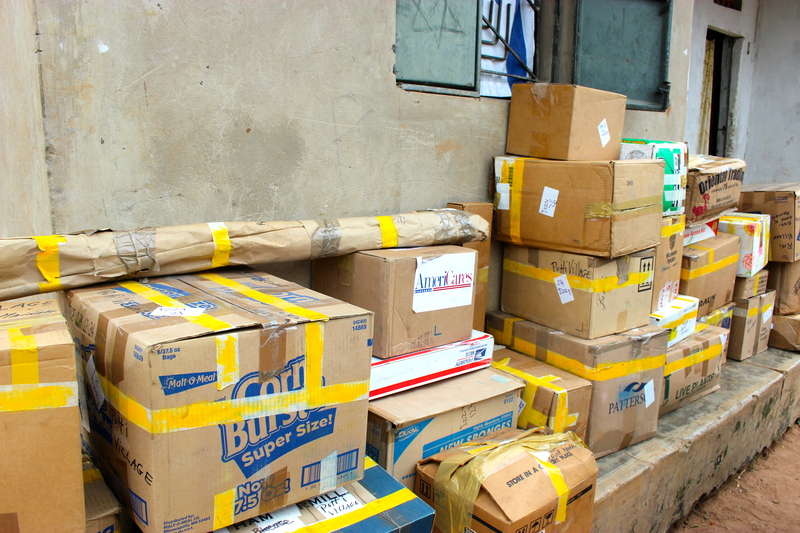 Upon their arrival home, we all packed up, sorted out the equipment that would be getting shipped back to the United States, and cleaned up the apartments, as we had an early morning departure on Friday morning. After all of our dirty work was completed, we gathered for our final team dinner at a restaurant called The Lawn. It was a lovely evening, with great food, drink, company and lasting stories and memories shared among us all. As usual we shared our personal lessons, but this time it was the lesson of the trip. Although we all shared very profound and meaningful lessons, it became obvious to me that this trip could never be summed up in a single lesson. Each of us has learned invaluable lessons from our patients, colleagues, from the Ugandan way of life as a whole; and more importantly learned more about ourselves than we probably even know. It is my hope that these lessons and memories remain strong and fresh in my mind for years to come. Today marked the beginning of the second week of surgery. We had procedures taking place at both Mulago and Case Hospitals. At Case Hospital, Dr. Lieberman was performing a revision of hardware. At Mulago, Dr. Ughwanogho, one of Dr. Lieberman’s fellows, completed his first case on his own. He did a fantastic job operating on a 20 year old male with a cervical burst fracture. It was not only his surgical competency that I was so impressed by, but earlier in the day while he was rounding, Dr. Ughwanogho blew me away. It was during his interaction with a young man who had been in a motorcycle accident and had an odontoid fracture in his neck. After discussing with him the potential surgery that may be necessary for him, Dr. Ughwanogho proceeded to get to know more about the patient, and in doing so learned that he was in school training to be a pilot. Furthermore, learning the operation he had been suggesting, could potentially compromise this young man’s future career. Immediately, Dr. Ughwanogho realized these implications and quickly adapted his plan to accommodate an outcome that is more in favor of this young man’s future profession. Dr. Ughwanogho’s display of compassion and patient-focused care makes him a very strong role model that any surgeon-hopeful can, and should, look up to. After a long day, we arrived back home and turned on the television to watch some Olympics, but were quickly distracted by the CNN headlines of the Ebola outbreak in Uganda. After a few seconds of watching we were even more surprised to see a screen shot of the Mulago hospital, the hospital we had just operated at all last week, and all day today. Although we had been aware that Ebola was present in the Kibaale district, we were not informed of its presence at Mulago until now. This made most of us quite uneasy, and in no time family members were sending emails and texts sharing their concerns for our safety. We were later told that Mulago had not yet confirmed cases of Ebola, but there were several health care professionals being quarantined. We were more reassured when we heard that the airports were still open, there had been no travel restrictions placed on Uganda, and the belief from health officials that if there was any suspicious virus, it had been contained at Mulago. In an attempt to take our minds off of our worry about the current situation, we went for an absolutely incredible dinner at the Kampala Serena Hotel. This buffet dinner had the most delicious fresh avocado smoked tilapia, beef kebabs, and a smorgasbord of desserts. After filling ourselves to the brim, we headed home. Before going to bed, much to the delight of our Polish anesthesiologists, we watched the Poland Men’s Beach Volleyball team (or as Jason astutely puts it, “sand” volleyball since they are not playing on a beach during this Olympics) defeat the USA team. We then retired to bed, some us quite nervous as to what tomorrow would hold with respect to going to Mulago to operate, and furthermore, the implications of our travelling home with this health threat brewing. 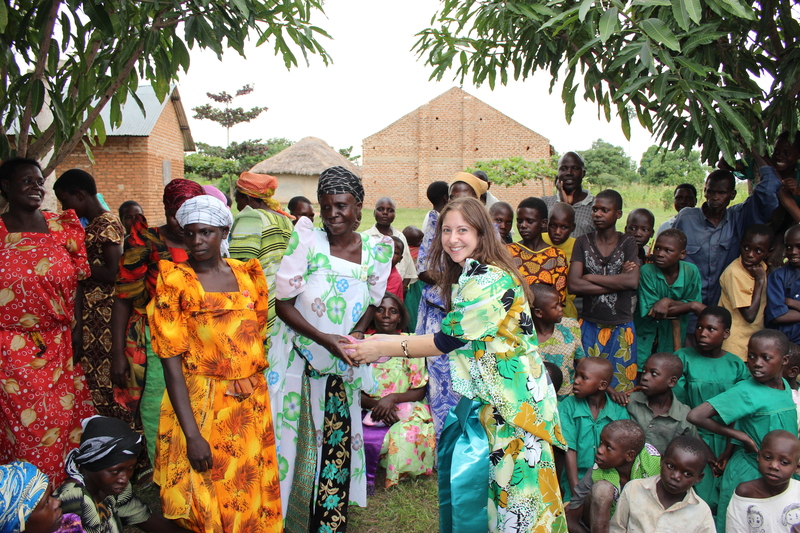 We finally have the final blog posts from Dr. Lieberman’s Uganda trip! The day started with some of the team heading off to round on post-operative patients at the respective hospitals. The others who remained at the apartments spent the morning doing laundry, finishing up some work, catching up on other odds and ends, plugged into the Olympics, and in Dr. Holman’s case: fighting a suspected case of food poisoning. In the early hours of the morning, it came to Ngozi’s and my attention that Dr. Holman was feeling under the weather. By the time the morning arrived he was feeling worse and we were all concerned that he had eaten something bad that was taking a toll on his system. It was no surprise that Liz took on the nurturing role of nurse to keep a close eye on him. Once everyone had returned from rounding, we decided to spend the afternoon going to the art market and gain a more inside look at Kampala by visiting the city market. We had initially thought we would visit the Bujagali Falls, but the previous day, during our return from Putti, we had sat in traffic for over an hour, and thus we were hesitant to take this same route, and spend the afternoon baking in a vehicle stuck in bumper to bumper traffic. Instead, we settled on the local markets. After getting a grocery list from Liz with remedies for Dr. Holman, including salted crackers, ginger ale, and Lucozade, we headed off in the bus to exercise our bargaining skills at the market. The art market is an area in the center of town where various vendors have set up booths and sell their goods. 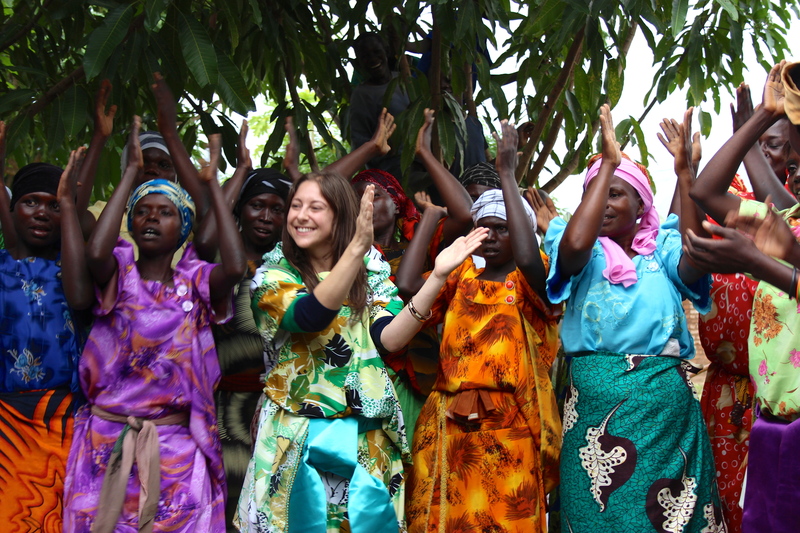 There is everything from jewelry to art, to authentic Ugandan clothing, pottery, and other trinkets. Going from booth to booth we began to appreciate not only the art of the vendors, but the art of bargaining the price down. This was best demonstrated when we were looking at the section of the market with paintings. It was quite entertaining to see Brian attempt to exercise his negotiating prowess to try and get a painting from 150000 shillings to 80000. Although he claims he “won” since he did not end up paying more than he wanted, he also walked away empty-handed because the artist wouldn’t budge below 90000. Others were more successful, and came away with treasures that they had negotiated to a reasonable price. From the art market, we courageously ventured to the real Kampala city market where goods are bought, sold, and traded. This was an absolutely incredible experience, to gain an insider’s look at the local commerce of Uganda. We also gained important knowledge regarding appropriate attire to wear in Ugandan public: women should not wear shorts. Unbeknownst to me, wearing shorts is the closest thing to being naked, as in Ugandan culture, a women’s thighs should only be exposed to her husband. I guess I had to learn this lesson the hard way, as many of the locals were taking pictures and quite interested in the “Muzungu” who was “naked.” Needless to say, the group of us was quite a spectacle to see wandering through the maze of alley-ways filled with mountains of clothing, shoes, electronics, and various food products and other provisions. This visit did serve a greater purpose; upon seeing the glorious local produce, we were inspired to buy ingredients to make guacamole. Under the keen eye of Chef Brian, we selected and bought the finest avocados, garlic, onions, hot peppers and limes. After making our way safely back to the vans, with our purchases in tow, and the new knowledge of what not to wear, we headed home. After a quick stop at the Nakumatt (the 24 hour grocery store) to buy a few more key ingredients including cilantro, salt and chips, we arrived home, all of us anticipating Brian’s creation. I have to admit I was skeptical, but Brian proved to be quite the chef, and concocted some of the most delicious guacamole I have ever tasted. After our delicious appetizer, we decided to have our second dinner at Khyper Pass, the delicious Indian restaurant we had gone to on the first evening. Unfortunately, Dr. Holman was still feeling sick, and after giving him a few litres of intravenous saline and reminding him what it is like to be on the patient side of health care, he was still not up for taking solid food, so we headed off without him, promising white rice upon our return. With our bellies full and white rice for Dr. Holman, we returned home to play a lively game of “Things.” Hopefully you have played this game, because in my opinion it might be the most fun game ever created. Needless to say, the rest of the evening was filled with hysterical laughter, learning a lot about each other, perhaps even things we may not have wanted to know, and most importantly, the complexities of Brian’s relationship with his cat, Max. Congratulations to Dr. Hochschuler and Dr. Lieberman! Becker’s Spine Review recently released the “61 Spine Surgeon Inventors to Know,” which includes Dr. Stephen Hochschuler and Dr. Isador Lieberman of Texas Back Institute. Members of the list were selected for their research and innovation contributing to the development of spine surgical devices and techniques. 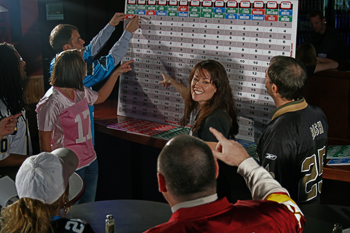 The list was created as a result of extensive research. Surgeons included on the list were trained at top medical schools and have worked with some of the biggest device companies to bring their ideas to the market. In many cases, their contributions have made a difference in the quality and cost-effectiveness of spinal procedures. Many of them are also leaders within their practices, hospital departments or professional organizations. Here is what was written on the Becker’s website. Stephen Hochschuler, MD (Texas Back Institute, Plano). Dr. Hochschuler is the co-founder of Texas Back Institute and chairman of Texas Back Institute Holdings. He has several patents for spinal stabilization devices and co-founder of Innovative Spinal Technologies. During his career, Dr. Hochschuler has served on the scientific advisory board of physicians for Alphatec Spine and business advisory board for DePuy Spine. He was co-founder of the Spine Arthroplasty Society, now known as the International Society for the Advancement of Spine Surgery, and has participated in several FDA trials. Dr. Hochschuler earned his medical degree at Harvard Medical School in Boston and completed his residency in orthopedic surgery at the University of Texas Southwestern Medical School in Dallas. Isador Lieberman, MD (Texas Back Institute, Plano). Dr. Lieberman holds multiple patents for his technological innovations, including SpineAssist, a robotic tool he recently co-developed for use during minimally invasive spine surgery. He has held appointments with Cleveland Clinic as staff surgeon and professor of surgery at Cleveland Clinic Lerner College of Medicine. His developments have been recognized with awards from Cleveland Clinic and the Spine Society of Europe. 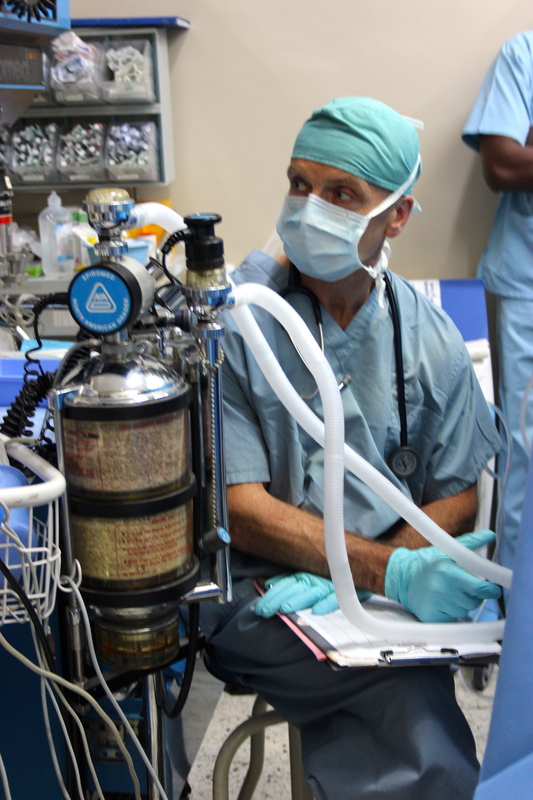 He recently co-founded the Uganda Charitable Spine Surgeon Mission, with which he accompanies a team of surgeons to visit Uganda each year to treat the underprivileged with spine conditions. He earned his medical degree from the University of Toronto in Ontario, Canada, and completed his residency at Mount Sinai Hospital in Toronto. He also completed residency programs in orthopedic surgery at two Toronto hospitals along with a clinical fellowship in spine and trauma surgery at The Toronto Hospital. Physicians do not pay and cannot pay to be selected for this list. *Becker’s Spine Review is a Chicago-based publication focusing on spine and pain practice management. The primary contributors and audience for the publication are spine surgeons and industry experts. After our 3.5 hour drive to Mbale, Izzy, Brian, Erin and myself finally pulled up to Putti Village. 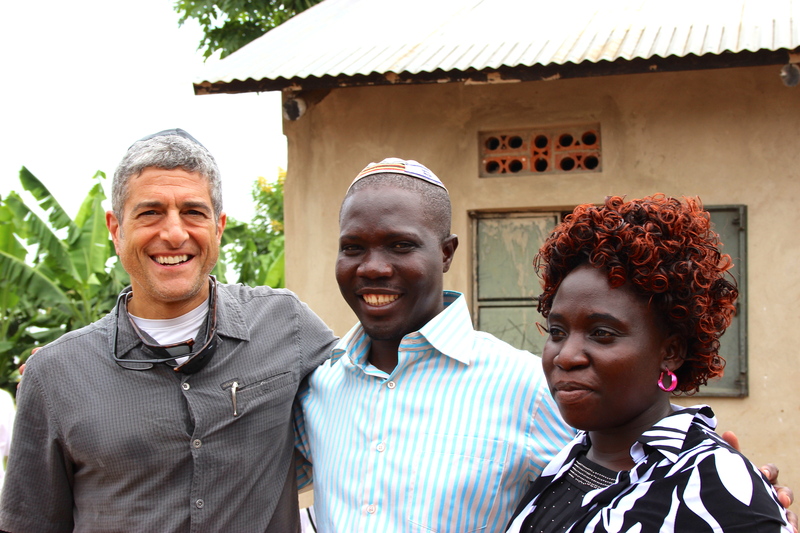 Putti is a small Jewish village about 10km from Mbale. We were warmly welcomed by hundreds of children and adults, and they were very quick to help unload our van for us. All of the donations after being unloaded. After that the women of Putti had arranged a performance for us. They sung and danced beautifully in vibrant dresses. They even made me a dress and managed to get me up to sing and dance with them. Next, we began to pass out all of the donations we brought. We got sanitary pads for the women, toothbrushes for all, shoes, t-shirts, and coloring books for the kids, and lots of medication that we left with Dr. Martin (the village’s doctor) in Mbale. They were all so grateful for all we brought them! That night we had Shabbat services led by Rabbi Enosh in the synagogue proceeded by Shabbat dinner. It was very interesting to see village life in Putti. It is so simplistic. They barely have electricity, everything is cooked on an open fire, and they all share living quarters. Erin and I slept in a room with at least 12 other people, and the same can be said for the 2 boys. There is such a sense of community, it is very refreshing to see. It may be due to a lack of space and infrastructure, but they are happy! 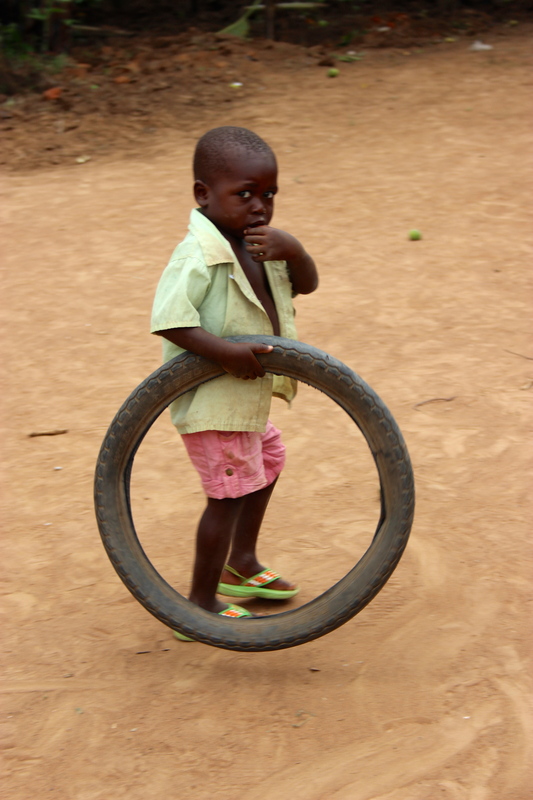 Boy playing with tire in Putti. The next morning we once again had Shabbat services and then had to take off to head back to Kampala to rejoin the rest of the group. It took us 5 hours to get back to Kampala due to all the traffic jams, but we are used to those by now. We then joined back up with the rest of the group and had a great dinner at a casino close by. Today was another day of surgery at both Mulago and Case Hospitals. The team at Mulago came up with a strategy the previous evening to try to circumvent the resistance of the Mulago staff from doing two cases in one day. We figured that we would tackle a shorter case first, so it would only be mid-morning upon completion, leaving lots of time to start a second longer case. This tactic worked, in addition to strong leadership from Liz, one of our surgical techs, and we had a very efficient and productive day with minimal setbacks or obstacles. It is very clear to see that as a team we are starting to find our stride, achieving an immense amount, with great outcomes, in a relatively short amount of time. were operating on a 12 year old boy with kyphoscoliosis, in addition to spina bifida occulta. After a difficult intubation, the procedure went on without complication until, much to the surprise of the team, the hospital’s oxygen supply ran out. Thanks to the prudent supervision from the anesthesia team, what could have been a potential disaster was averted, and thankfully the procedure was completed successfully. There was also a major display of “taking one for the team” from Jason, our neuromonitor. After questioning the signal he was receiving from the patient, he proceeded to hook up and shock himself to ensure the equipment was working properly. We were all very impressed and touched by his dedication to the well-being of the patient, at his own expense. We once again all reconvened at the apartments in the early evening to share our respective experiences of the day. We then proceeded to dinner, at a ‘new’ restaurant that the previous missions hadn’t been to before. Upon arrival, the veterans on the team realized they had been here before for a wonderful reception dinner, and we were all pleasantly surprised by the ambiance and the great menu. Much like our previous evenings, we ate delicious food, drank a few glasses of wine, and shared many laughs around the table. There were several toasts made highlighting the great work of the team, especially those who have really stepped up and provided great leadership, poise in stressful situations, and selflessness in order to provide the best care possible to the patients.